Quality Marine Electronics LLC has been in the marine electronics business for over 30 years selling and installing marine electronics and fabricating stainless steel and aluminum radar arches, hardtops and custom helm panels. We are experts in Custom Boat Lettering. 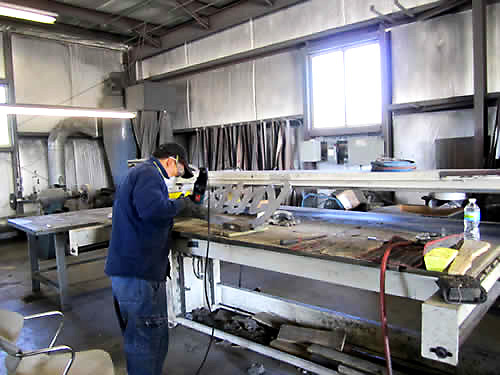 We also repair and custom fabricate bow rails and design and fabricate anything for the marine industry using old world craftsmanship. We are also Raymarine, Garmin, Furuno and Clarion authorized dealers and installers certified by the ABYC and NEMA. Years ago, by request of one of our customers, we began building custom stainless steel lighted yacht signs. We also create acrylic lighted yacht signs as well as vinyl boat lettering. We are not your usual sign company selling yachts signs to the marine industry at inflated prices. We work solely in the marine industry with experience in all aspects of the boating industry. We have the knowledge and experience to build lighted yacht signs strictly for marine use. We service what we sell and stand behind our products 100%. Let yachtbritesigns.com professionally design and build your sign the way it should be. We are here to serve and build your next dream. We are boaters working for boaters.